Reading to our children has been a favorite pastime of mine since I became pregnant with our very first child over 18 years ago. 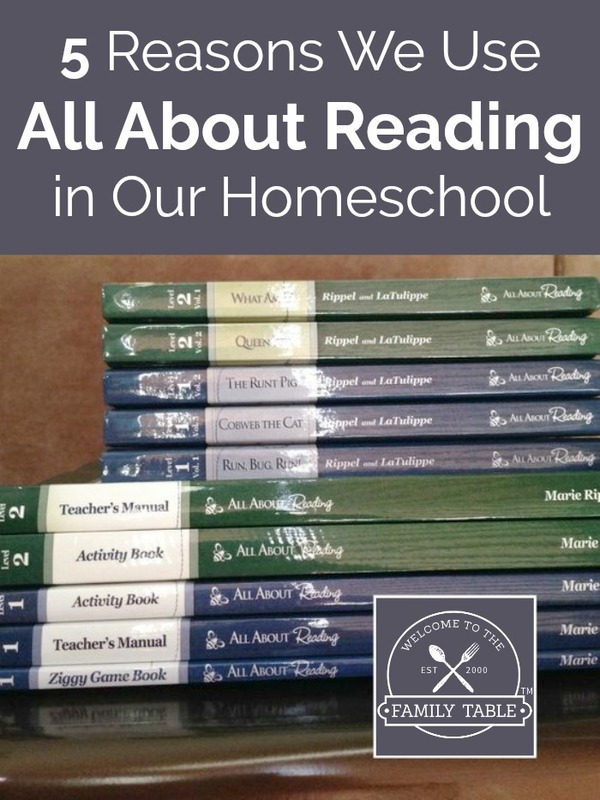 I’ve always been an avid reader because I had a mother and grandmother who read to me daily. I remember how excited I was each day to spend that special time with each of them. My favorite pastime was learning new things and exploring new places in my imagination. I loved going to the library and coming home with loads of books that held new adventures to take. 1. Develops a strong bond between parent and child. It is absolutely undeniable in my own experiences of reading to each of our children in utero that a bond between each of my unborn children and I was formed during pregnancy. I remember getting a feel for each of my baby’s personalities while reading. They would respond to the stories I was reading based upon the fluctuation of my voice. Such a beautiful experience! 2. Helps cultivate active listening skills. This is a very important skill that will help a child’s ability to learn well in group environments and within the family unit. As an active listener your child will be ready to excel in school and in the world as a professional. This is a wonderful way for children to develop vivid imaginations which also help develop visualization in the mind. With the overuse of electronic devices, many children have lost the ability to think for themselves and imaginations are not as vivid as they 0nce were. Reading aloud to your children helps to cultivate the invaluable resource of imaginative thinking! 4. Is instrumental in early brain development in fetuses and infants. Studies continue to show that babies who are read to in utero and after birth stimulate early brain development and help foster critical thinking skills. 5. Gives our children a head start on language skills. Children who are read to daily are more likely to develop strong language skills and early cognitive skills. 6. Helps develop strong literacy skills. According to the National Research Council, studies show that children who are read to often perform better in reading and writing in our public schools. 7. Sets our children up for future academic success. A study done by the National Research Council showed that there is considerable evidence of a relationship between reading regularly to a child and their future academic achievement. This study shows improvement in every area of school (National Research Council, 2009). 8. Improves your child’s overall confidence. Reading together gives your child overall confidence because they’re secure in their relationship with you. In addition to your child feeling safe and connected to you, they gain confidence in reading aloud. 9. Can help reduce screen time. When children are read to on a daily basis they are less likely to choose to be on electronic devices. This can drastically reduce your child’s overall screen time. 10. Will likely become avid readers. Children who are read to daily are more likely to pick up the habit of reading. And those who are not read to often are less likely to become avid readers. While no two children are alike, the reasons above have been cited in various studies regardless of their socioeconomic demographic. So one thing is very clear; reading aloud to our children every day is beneficial. And I can tell you from experience that it forges a strong bond between mother and child. I am so grateful for being able to pass down the gift of reading to my children! It is an honor and a joy to have taught teach of my children to read and a blessing to continue to read aloud to them all these years later! 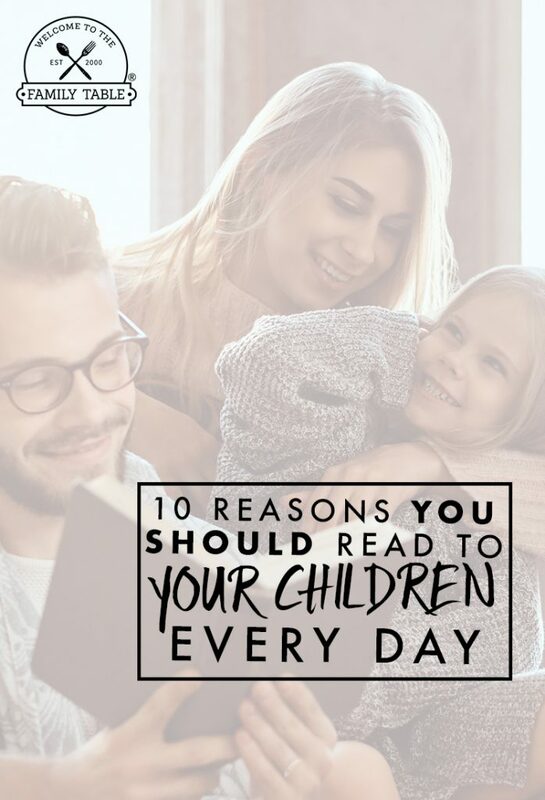 I want to encourage those of you who may not have the time to read to your children every day to find other ways for your children to be read to. Perhaps a daycare provider or other family member can read to them. Another great option are audio books that you can get online or at most libraries. Even if you are unable to be the one who reads to them, make sure that they are getting it somehow. They’ll thank you for it one day! Keep reading and loving on those children!